Hello Ken Cannon here, Alright on to the next language learning giant, Pimsleur. Again they incorporate a very unique learning style, very unlike Rosetta Stone however. As a completely audio program, they have the same benefits as JapanesePod101 where you can use net (No Extra Time) time to study, like while jogging or commuting. However they suffer from the same setbacks. With no visual medium, they're listeners are often distracted, and or simply hindered in learning speed from a lack of visual assistance. In terms of pronunciation they certainly deliver, even more so then Rosetta Stone, often repeating even each syllable several times. This is where I give a lot of my language pronunciation credit. Price is as expected from a language learning program, however being audio only is what lowers the value of this program significantly. 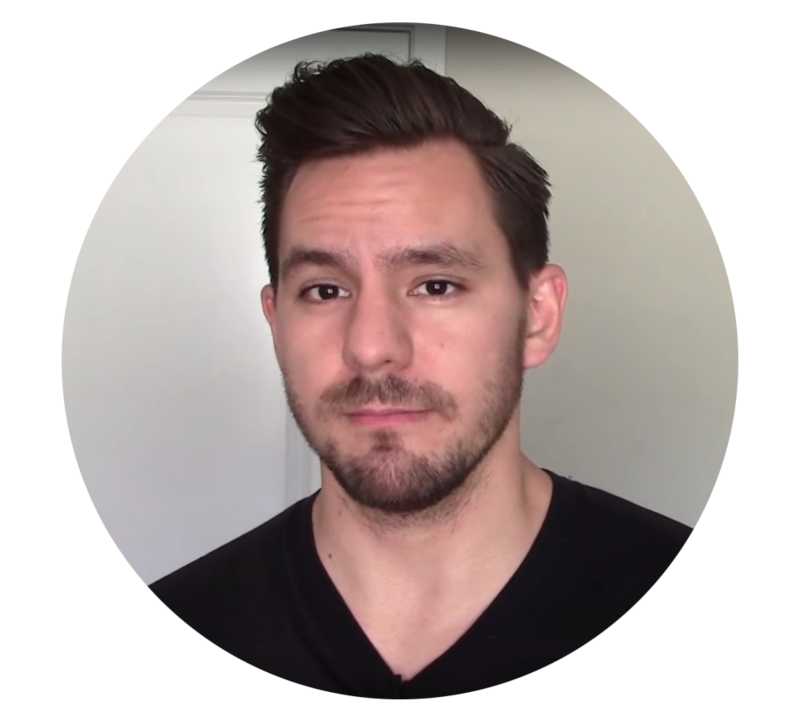 Another complaint I often hear is that is can be quite boring as the entire 30 minutes is simply a constant question, and answer format, done over and over. I personally didn’t have a problem with this as I rather like learning (I know I’m strange) but I can see how this can be a problem for some people. However Pimsleur is very easy to get into, and use in general really. A rather basic proficiency is capable rather effortlessly. 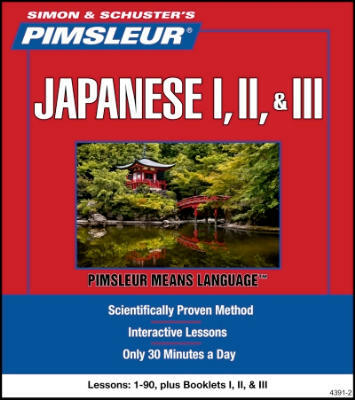 I would recommend Pimsleur as a “survival guide” to Japanese. For someone who’s going to Japan soon, and needs to learn the basics of Japanese quick just so they can survive. However for the beginner who plans to learn Japanese for the long run, this “can” serve as a good primer. If only it was cheaper. Thats my review, of course like always I'd really like to know what you think. If you have or have used Pimsleur's I'd be super cool if you could go ahead and put your input below. Rate on a scale from 1 to 10 and hopefully we can get a discussion going on here. A friend and I started with Pimsleur a while ago. We are now at the beginning of Pilmsleur II. I am more of a visual learner so looking at the lesson notes and spelling of the words helped me a lot when learning. A problem that both me and my friend are experiencing is that many times the pronunciation of the words is not always the same and the man and woman speaker also don't always say something the same way. So far it is going good. When watching Anime I can pick up some of words en sometimes even small sentences. Oh that's great! As harsh as I am on Pimsleur, I myself bought and used it years ago so I do give that program a lot of credit. I just want people to know every problem they might run into before they invest 300 dollars. 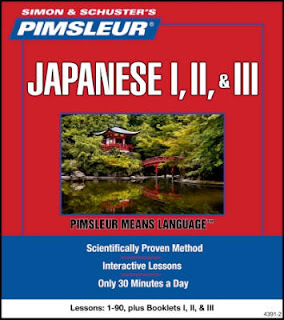 I used Pimsleur as the cornerstone of my Japanese language learning. It gives you a great base, but as you said, doesn't give you either a large range of vocabulary or a huge level of grammar use. That being said, it is comprehensive and does present a great foundation from which to really build into a great speaker of Japaness. As mentioned, the 'reverse pronunciation' system really sets this apart. Great value, despite the price, but should be used in conjunction with other materials. Ok! I'm kinda stuck on what to do first in order to learn Japanese. I don't know where to begin. Please someone help! (To Jacky Chen)I think some vocab. could be a good first step. I have been using Pimsleur that someone gave to me, I believe it is maybe second edition. Even though I knew virtually no Japanese prior to using Pimsleur, I really got the impression that the female speaker was NOT a native speaker it is claimed. I did a quick google search and found that I was not alone, it has been pretty much confirmed that the female is not in fact a native speaker of the Japanese language. I listened to the newer free lessons Pimsleur has made available from their lessons, the female speaker in those does appear to be a native speaker, so perhaps both the female and male speakers on the newer editions are native speakers. Just something to consider about the program. Otherwise, I am loving Pimsleur. I am only on lesson 6 of Japanese I, I can't wait to complete the entire course and build on what I have learned!